Hemp was illegal because it was considered a controlled substance by the Drug Enforcement Agency, lumped in with LSD, heroin and marijuana, a related species. Glynis Board of ReSource partner station WVPB contributed to this story. This article was originally published by Ohio Valley ReSource. This article was originally published by the Ohio Valley ReSource. Inside the Bluegrass Hemp Oil store in Lexington, Kentucky, the CBD oils and lotions lining the walls have an origin story — a story of a family’s struggle. “We took a huge risk, to be perfectly honest, because we didn’t know. We weren’t trying other people’s CBD products that were out there,” Bluegrass Hemp Oil Co-owner Adriane Polyniak, said. Polyniak’s son, Colten, began inexplicably having violent seizures in 2009 when he was three. He was diagnosed with idiopathic generalized epilepsy. The various prescription drugs controlled Colten’s seizures but caused harmful side effects including hair loss, weight gain, and cognitive delay. Adriane’s family saw on online forums that CBD might be of help for seizures. CBD, also known as cannabidiol, is a compound commonly sourced from the flowers of hemp, a type of cannabis related to marijuana. CBD doesn’t get a user intoxicated, unlike the better known cannabis compound, THC. CBD is commonly put into oils and lotions, but some novelty products like CBD in water and vaping CBD have recently been put on the online market. 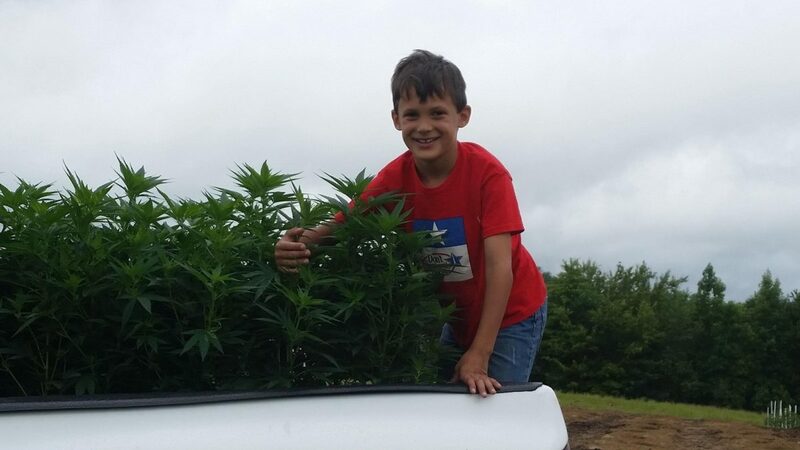 When Kentucky began growing hemp under a pilot program in 2014, Polyniak’s family tried it. And she said it worked: Colten’s seizures disappeared. The Polyniaks now want their business to help others with what they say are benefits from CBD. “I think a lot of people are seeing relief with CBD products, and I think it goes a long way to prove the efficacy of what’s going on and what people are saying,” Polyniak said. People across the country say CBD is helping them with a wide variety of issues including sleep problems, mental illness, arthritis, skin conditions, Crohn’s disease, and more. But there is little to no scientific evidence to support these claims. 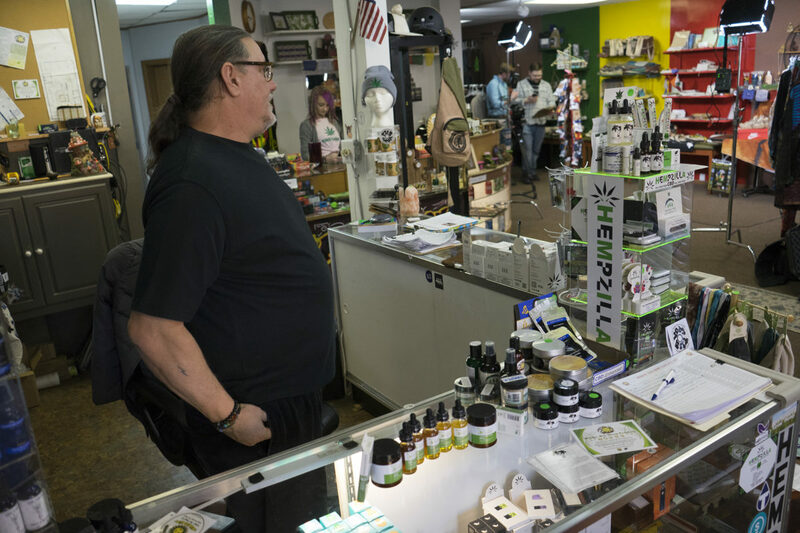 Clinical researchers in the Ohio Valley say there’s still not a lot known about the substance, and some express concern that the CBD business boom is moving faster that the scientific research. “I think there’s a lot of concern amongst physicians, medical providers and research scientists like myself, that we’re moving too fast without proper evidence or information,” said Dr. Anup Patel, Section Chief of Pediatric Neurology at Nationwide Children’s Hospital in Columbus, Ohio. Dr. Patel has been involved in several studies the past five years to look at CBD’s effect on various forms of epilepsy. The promising results of those preliminary studies led to a more intensive, groundbreaking study in 2018, where he worked with patients who have a severe form of epilepsy called Lennox–Gastaut Syndrome. The study results showed patients saw a median reduction in seizures of more than 40 percent. Months later, the Food and Drug Administration approved the first CBD-sourced drug, Epidiolex, because of that study. It remains the only FDA-approved CBD drug. Yet beyond epilepsy, CBD research is still very new. “There is potential benefit for certain types of patients with seizures or epilepsy. Beyond that, we have no idea. There aren’t any good studies using CBD in other areas,” Dr. Patel said. Dr. Patel is referring to the current lack of “double-blind” studies, which are considered the most legitimate among researchers. Double-blind studies are where both the researcher and patients don’t know who is and who is not receiving the drug being studied. This helps control for the placebo effect, a phenomenon where an individual may experience benefits because of their belief in a treatment, not because the treatment is actually working. Dr. Alex Straiker, an Indiana University professor whose primary focus is studying cannabinoids’ effects on the brain and eye, is one of many researchers who think the hype and media coverage surrounding CBD could contribute significantly to the placebo effect. In the meantime, researchers worldwide are getting busy. Human trials, some of them double-blind, are being conducted to determine CBD’s effects for a variety of issues, from cancer therapies to Parkinson’s disease. Some preliminary CBD research has shown promising results toward CBD’s potential anti-inflammatory properties and how it affects brain chemistry, helping people with issues including anxiety disorders, rheumatoid arthritis and quitting tobacco. Yet research on CBD’s potential side effects is also surfacing: a recent Indiana University study that Dr. Straiker led indicated that CBD could increase the risk of glaucoma. West Virginia University dermatologist Zachary Zinn helped conduct one of these new studies. His study looked at CBD’s effect on three patients suffering from a rare skin condition called epidermolysis bullosa that causes severe blistering and extreme pain. Zinn thinks CBD is relatively safe to ingest in small doses, and he’ll tell patients that if they inquire about it. But he isn’t actively recommending it to patients because there’s still little clinical research. The expanding Ohio Valley hemp industry is pushing forward despite a lack of scientific backing. Roger Hayes of Louisville-based Green Remedy, a CBD product wholesaler, said clinical studies matter to verify their products’ value. Like other CBD companies, Green Remedy doesn’t make any claims about CBD’s effects because they’re not approved by the FDA. But he said the company doesn’t necessarily need clinical studies or the FDA’s approval to be confident the products work. Many in this expanding industry, including Hayes, want the federal government to hurry up with regulation, regardless of studies. The FDA said in December that CBD in food products is still illegal without FDA approval. Ohio stores selling CBD food have been raided. Kentucky Agriculture Commissioner Ryan Quarles is one state government official in favor for approval of CBD-infused food because of the boost it could give to regional hemp farmers. Yet some in the industry are more hesitant. Matthew Smith is a licensed massage therapist in Parkersburg, West Virginia, who uses CBD oil to ease muscle pain and arthritis in his clients. The first FDA public hearing on CBD-infused food is scheduled for late May. Ohio Valley ReSource reporter Mary Meehan contributed to this story. This article was originally published by Ohio Valley ReSource. When Seth Long first began experimenting with maple syrup production, he tapped hollow pegs called spiles into individual trees, collected drips of sap in milk jugs, and carried each gallon down the steep mountainside on foot. Now, Long rides an open-air buggy up muddy switchbacks to a 500-gallon collection tank from which translucent blue tubes branch out like arteries. There, gallons of sap accumulate from Long’s 270 maple trees before they flow through those tubes 900 feet down the mountain to Long’s grant-funded sugar shack. A shared-use reverse osmosis machine removes most of the water before the sap enters the evaporator to boil for hours until it turns into thick, dark maple syrup. “Some of the sap is travelling 2,400 feet before it gets down to our evaporator,” Long said. Collecting sap the old-fashioned way, 14 gallons of sap was a big day, Long said. Now, three seasons into mechanized production, Long estimates his network of tubes, tanks and gauges can process 800 gallons per day. Long is the president of the Kentucky Maple Syrup Association, a year-old group of maple syrup producers hoping to put the sweet concoction on the map in the Bluegrass State. Long and his wife Sheryl run the 50-acre SouthDown Farm in Letcher County. The pair sells vegetables, jams and baked goods at local supermarkets and to individual buyers. Long said that in 2018, with 200 taps operating, the family produced about $3,200 worth of finished maple products. It’s far from enough to sustain a family, but it’s extra income at a time of the year when not much else is happening on the farm. “What we’re doing here in eastern Kentucky with maple syrup is kind of calling back a distant memory,” Long said. He and other maple producers in the region view maple syrup as more than just another crop. For them, it’s one sweet part of a new, decentralized economy that’s capitalizing on a long tradition. Appalachia has a deep history of small-scale agriculture, from regional crops like sorghum to the cultivation of heirloom beans. Historians say maple production in the Ohio Valley dates back to Native American communities tapping maples long before the arrival of Europeans. Ohio Valley residents regularly tapped maples for personal use through World War II, when sugar rations made syrup a valuable commodity. Appalachian Sustainable Development is a nonprofit organization that uses agriculture as a means of economic development in the Appalachian region. Terry said she’s excited about the potential of non-timber forest products for hilly, forested regions like eastern Kentucky and West Virginia. Maple syrup is a non-timber forest product, as are herbs, ramps, and mushrooms. Rich Flanigan first produced maple syrup to give away as a wedding gift before he went commercial. Long’s maple stand sits atop an old surface coal mine site. Maple trees are faster-growing than some other local tree species, so they’re often the first to reach maturity on abandoned mines. Long finds satisfaction in doing small-scale agriculture on land that was once home to an extractive industry. Northeastern states like Vermont, New York and Maine produce the vast majority of American maple syrup. Ohio produces far less, but still consistently ranks among the top maple-producing states in the country, with 708 producers reporting in the last agriculture census. West Virginian producers are building an agritourism economy around the novelty of the seasonal crop. And producers in Kentucky are just beginning to explore how big maple could be. Shad Baker, the agriculture extension agent in Letcher County, Kentucky, was always looking for ways to make the best of eastern Kentucky’s hilly, forested terrain. He knew that agriculture in Letcher County would never be large-scale, high-volume production, but rather multiple niche crops that didn’t need much flat land. Although Kentucky and West Virginia are not traditional maple country, the particularities of the landscape make the crop an unlikely fit. The steep grade means there’s no need for the costly vacuum systems often used in more traditional maple states like Vermont and New York. Sap flows when the days are warm and the nights are cool, so Kentucky and West Virginia have a longer production season and more frequent freeze-thaw cycles. And, Baker said, maples release sap in January and February, a time when a small farm operation wouldn’t traditionally be able to turn a profit. “I always tell people they can put a TV in their sugar shack and watch UK basketball while they evaporate,” Baker said with a laugh. There are downsides. Appalachia’s impressive biodiversity means maple trees are more spread out among other species, requiring more effort to connect them to one another. And critically, sap from maple trees in Appalachia has a lower sugar content than sap from trees in traditional maple country, which means producers have to spend much more time boiling the sap or invest in an expensive reverse osmosis machine. A particularly low-sugar season can devastate profits. In rural Letcher County, with its population of about 22,000, Baker estimates there are about eight producers in the county alone who were on their way to having commercial-sized operations, which is generally understood to be 500 taps or more. As many as 12 more maple syruping as a hobby, and that’s fine, Baker said. Maple syrup doesn’t have to be for everyone. Baker teaches maple producers to make value-added goods like maple candy, which can triple the value of a gallon of syrup. His office has purchased processing equipment to help producers make syrup at scale without investing too much money up-front. He wants to encourage hobbyists just as much as professionals like Long. “Maple syrup could easily be 50 percent of the ag output in Letcher County,” he said. Across the state line in West Virginia, maple producers have capitalized on maple syrup’s niche appeal to create Maple Days, a popular agritourism event where farmers across the state open their doors to share their knowledge, sell their goods, and spread excitement about the new industry. 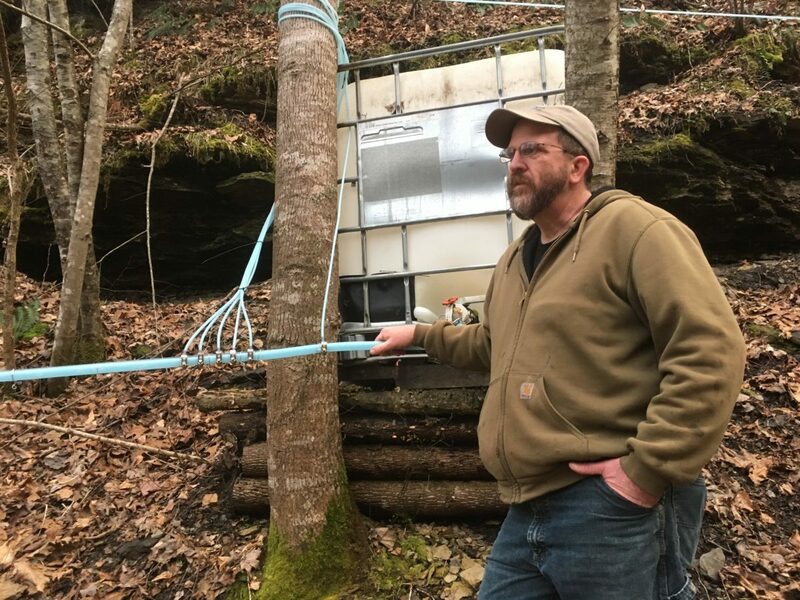 At Flanigan Family Maple in Prichard, West Virginia, Rich Flanigan has scaled up from a few hand-tapped trees to a 470-tree operation, and plans to grow to 1,000 taps next season. A full-time forester for a land-management company, Flanigan processes sap on nights and weekends during maple’s short production season. In a full day, he could process up to 2,000 gallons of sap, or roughly 50 gallons of syrup. At Flanigan’s Maple Day open house, visitors mill about, peering into Flanigan’s evaporator and gushing over samples of homemade maple pies and cookies. Flanigan takes guests on tours of his operation. But the most exciting attraction is the cotton candy machine, where maple sugar enters and puffy clouds of spun sugar emerge. The machine has paid for itself multiple times over, Flanigan said; the cotton candy is a best-selling, value-added product. Indeed, fellow maple syrup producer Greg Christian comes up the hill from his own maple day event, a pancake breakfast in a local church. Christian has sold out of cotton candy and needs to buy 10 more bags for his guests. “This industry is a labor of love,” Christian said. He works full-time as an engineer, but he says the profits from his maple syrup and honey operations add significantly to the family’s income. For him, turning a hobby into a business was worth it for the joy it brought his family. He loved spending quality time in the sugar shack with his father, and was excited about sharing the experience with his young daughter as she grew up. Seth Long says the next step for the Kentucky Maple Syrup Association is to get Kentucky added to the U.S. Department of Agriculture’s maple syrup program, which would formalize the crop as part of the state’s agriculture output. But following the 2017 national agricultural census, six states with higher production than Kentucky, including Ohio and West Virginia, were slated for removal from the program because their production numbers were too small. Charmaine Wilson, state statistician for the USDA’s West Virginia statistics office, said production is growing “slowly but steadily” in the state, but West Virginia still accounts for a small percentage of the country’s total supply. Removal from USDA statistical programs is routine for niche crops. Maple syrupers in the Ohio Valley don’t expect maple syrup to single-handedly solve the region’s economic woes, but view the product as one part of a diverse, sustainable economy. Smithfield announced last year that it will use covered lagoons and digesters on 90 percent of its hog finishing farms within 10 years, a move that could reduce greenhouse gasses, create renewable energy and open opportunities in the biogas sector. A man stepped out of the side door of his home in Kenansville and refused to give his name. “I have to live here,” he said. “Here” is hog-farming country, where signs reading “Stand up for Farmers” sprout from the roadsides. Here, in Duplin County, hogs outnumber people 32-1. Just outside of view from the man’s home lies Optima KV, a pilot project involving five farms that use covered lagoons and anaerobic digesters to convert methane from hog waste into renewable natural gas. The biogas is then injected into pipelines and sold to Duke Energy. The man complained about odors and flies from Optiva KV. He said he built his sun porch for that reason. But he admitted that the smells aren’t as bad as they once were, before the covered digesters were installed. Optima KV could be viewed as a microcosm of the not-too-distant future, a time when almost all of Smithfield Foods’ hog finishing farms in North Carolina will use covered lagoons and digesters to convert methane into biogas. Smithfield announced in late October that 90 percent of the lagoons on those farms will be covered within 10 years. Similar projects will also be done in Missouri and Utah. The announcement was followed by another one a month later in which Smithfield said it was partnering with Dominion Energy, a public utility based in Virginia, to spend at least $250 million in the next decade on hog farms in North Carolina, Virginia and Utah. Smithfield says it is taking the steps partly to meet its goal of reducing greenhouse gas emissions 25 percent by 2025 by capturing 85,000 tons of methane each year to generate renewable natural gas. That’s the equivalent of removing 900,000 cars from the roads. Supporters of the project say it will open the door to a fledgling biogas industry in North Carolina, creating thousands of jobs. “It’s a really big step, there is no doubt about that,” said Tatjana Vujic, director of biogas strategy for Duke University. “I’m very pleased with this development. It’s going to move the needle on biogas in the state, and I think it’s going to open the door to making use of more of our waste streams,” such as poultry. Tweet from the American Jobs Project, a bipartisan think tank geared at advancing “green” energy initiatives. Vujic pointed to a 2016 report by the nonprofit American Jobs Project that identified biogas and utility-scale batteries as showing particular promise for economic development in North Carolina. “With the right policies, utility-scale batteries and biogas can support 19,000 jobs per year through 2030,” the report found. But some environmental groups say Smithfield’s plans don’t go nearly far enough. They want the company to stop using lagoons and spraying the waste onto adjoining farm fields. That method has led to millions of gallons of hog waste spilling out of the lagoons, most recently during Hurricane Florence. It has also led to concerns about overapplication of nitrogen, runoff into creeks and streams and complaints about odors, flies and related issues. People living next to hog farms, each of which house thousands of animals, say mist from spraying manure on the fields drifts onto their properties. They worry about health problems from pathogens associated with the waste. Some environmental groups argue that Smithfield must begin using new and expensive technology that has been proven to work without harming the environment or the health of its neighbors. But it’s hard to object to covering the lagoons and adding digesters, strictly from the standpoint of creating renewable biogas and reducing greenhouse gas emissions. Smithfield’s plans are backed by the Environmental Defense Fund, which helped the company create its goals for reducing greenhouse gases. North Carolina is the second-largest pork producer in the United States, home to 2,126 permitted industrial swine operations housing nearly 9 million animals. If all of those farms used covered lagoons and digesters, they could provide enough natural gas to power 140,000 homes. And they could do that for as little as 6 cents per kilowatt hour, or roughly the same price as solar power, according to a study published in 2013 by Duke University’s Nicholas Institute for Environmental Policy Solutions. At the same time, covered lagoons and digesters would be reducing greenhouse gas emissions, which scientists say causes global warming and has contributed to diminished Arctic sea ice, rising ocean levels, flooding from more intense storms and bigger and more frequent forest fires. “Climate change creates new risks and exacerbates existing vulnerabilities in communities across the United States, presenting growing challenges to human health and safety, quality of life, and the rate of economic growth,” the National Climate Assessment warned in a study released in November. Carbon dioxide is the most common form of greenhouse gas, 200 times more prevalent in the atmosphere than methane. But methane is at least 21 times as potent as carbon dioxide, and its levels have been growing. Agriculture contributes 9 percent of greenhouse gas emissions. Besides covering lagoons and adding digesters, the joint venture between Smithfield and Dominion Energy also calls for expanding the Optima KV pilot project to two larger farm clusters, in Duplin and Sampson counties. Construction was to begin before the end of 2018. Maggie Monast, senior manager of economic incentives and agricultural sustainability for the Environmental Defense Fund, is optimistic about the plans. Randy Wheeless, a spokesman for Duke Energy, welcomes the initiative, too, but he said biogas has a long way to go before making a significant contribution to the state’s energy needs. “I don’t think it will be a large contributor to an overall energy mix unless the technology improves greatly,” he said. Nevertheless, Wheeless believes Smithfield’s plans will transform a small but growing waste-to-energy industry in North Carolina. “I think it’s put biogas on the radar in North Carolina as a very viable way to create electricity,” Wheeless said. North Carolina got its first good look at the potential for biogas from the hog industry in 2011 on Loyd Ray Farms in Yadkinville, about 25 miles west of Winston-Salem. That year, construction of a covered anaerobic digester system was completed on the farm as a demonstration project overseen and partly funded by Duke University, Google and Duke Energy. The $1.2 million project captures methane from hog waste and uses it to produce renewable electricity. Using a 65-kilowatt microturbine, the system generates enough electricity to power itself and about half of the farm. Any extra electricity is sold to Duke Energy. Two years after the project began, Duke University’s Nicholas Institute for Environmental Policy Solutions published its study that found that the barebones cost of producing electricity from swine biogas could be as little as 6 cents per kilowatt hour. The researchers also determined that the most cost-effective approach was either to create electricity on a single farm, such as Loyd Ray Farms, or use a cluster of farms to refine the waste into natural gas and then inject it directly into natural gas pipelines. They determined that the best cluster of farms was in an area covering Sampson and Duplin counties, where most of the state’s hogs are raised. In 2016, Duke Energy entered into an agreement with OptimaBio, the company that oversees the Optima KV project on the five Duplin County hog farms in Kenansville. Combined, the farms raise more than 60,000 hogs for Smithfield Foods. Under the agreement, OptimaBio will convert swine biogas from the five farms into renewable natural gas and inject it into a pipeline owned by Piedmont Natural Gas. Duke will then use the natural gas to generate electricity. The project is expected to produce enough renewable natural gas to power about 1,000 homes. 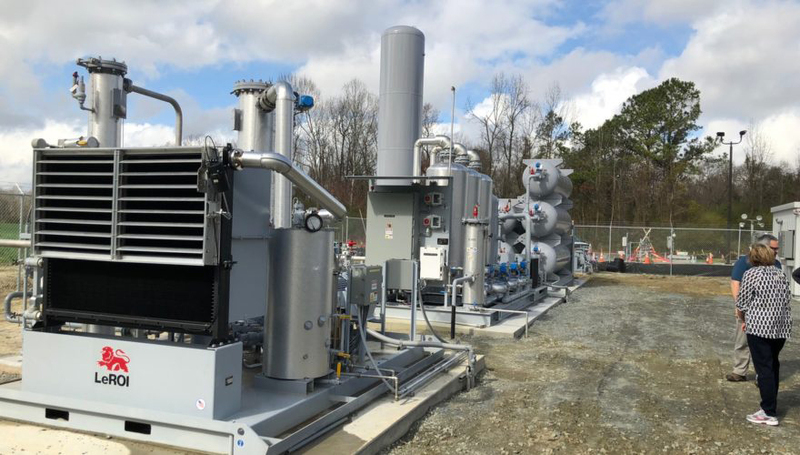 Optima KV is the first project in North Carolina to directly inject refined swine biogas into a natural gas pipeline, said Mark Maloney, OptimaBio’s founder and chief executive. The five farms began injecting the gas into pipelines in March, Maloney said. The project became fully operational in June, with what Maloney called some hiccups in technology along the way. “Like anything, when you do it for the first time it takes longer than you would hope, but it’s getting easier,” he said. An anaerobic digester is essentially a big, air-tight chamber that sits either beside or under a covered hog lagoon. Hog manure is pumped into the chamber, which is heated to spur communities of microorganisms to rapidly eat the waste and convert it into methane, which is trapped under the lagoon covers, siphoned off, cleaned and converted to natural gas. Smithfield and Maloney point to other advantages of covered lagoons and digesters, besides creating reusable biogas and reducing greenhouse gases. They say the covers will significantly lessen the chances that the lagoons will overtop their banks during major storms. And Maloney estimates that the covers have reduced odors at Optima KV by 20 percent to 40 percent. While the Optima KV farms still use uncovered lagoons, Maloney said, those with covered digesters receive only fresh manure, where much of the smells come from. John Kilpatrick owns three farms that are part of the Optima KV project. He agreed that the covered lagoons and digesters have substantially reduced the smells coming from his farms. The digesters also greatly reduce the sludge at the bottom of his lagoons, he said, all but eliminating the expensive costs of hauling it away. Kilpatrick said he and another farmer have invested about $11 million into the Optima KV project. Kilpatrick said he took out a 10-year loan for his part of the investment and expects to pay it off in five years. He said he makes up to a 15 percent profit on the sale of the methane, above the cost of the loan. Whether other farmers will agree to such a large investment to cover their lagoons and digesters remains to be seen. Martin, the Smithfield spokeswoman, did not provide a cost, other than to say it would be substantial. “Farmers will have the opportunity to invest in covers or covered digesters,” Martin said, adding that participating farmers will profit from the sale of the natural gas. Martin also did not say how many of the state’s hog waste lagoons may be converted into covered digesters. Angie Maier, the N.C. Pork Council’s director of government affairs and sustainability, noted that the value of renewable energy has increased substantially recently, driven in part by California’s quest to offset its carbon footprint. “It doesn’t work for everyone, but folks who want to do it and it works for their farms, I think there are opportunities to cover their costs,” Maier said. Greg Barnes retired in 2018 from The Fayetteville Observer, where he worked as senior reporter, editor, columnist and reporter for more than 30 years. This story was originally published in North Carolina Health News .